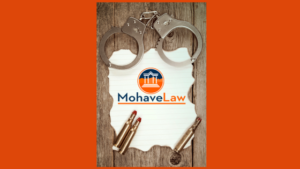 At Mohave Law PLLC we often field questions from prospective clients inquiring about whether or not they should “take” a plea offer and enter into a plea agreement. A plea agreement in Arizona is an agreement between the accused and the State, the goal of which is to limit the amount of fines and the time of incarceration for a defendant. If a person pleads guilty without the benefit of a plea agreement they subject themselves to the sentencing ranges within the the laws. If a person pleads guilty to a judge without a plea agreement then judge is required to sentence the defendant in accordance with Arizona law. 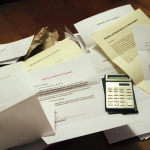 A plea agreement eliminates a potential wildcard of results and makes the judgment and sentencing process more predictable. If the State has a very good case a plea agreement is a wise choice provided the accused is actually guilty. Typically, the State will make their best offer right out of the gate. Here, the reasoning is the State does not have time to take every case to trial and in exchange the defendant receives a much less severe sentence then they would face if the defendant was to lose at trial. Ultimately it is the defendant who decides whether to enter into a plea agreement or take the case to trial. Your counsel should advise you of the sentencing ranges you face in your case and more often than not a person is advised of the range of sentencing during their arraignment by the judge. If you enter into a plea agreement you can only do so provided the decision is made knowingly, voluntarily and intelligently. All individuals are advised pleading guilty or not contest to a crime may affect their immigration status. Admitting guilt can even result in deportation from the United States as well as preventing a person from becoming a United States citizen. Courts are under no obligation to accept guilty pleas and if a court rejects a plea agreement then the not guilty plea is reinstated and the case will proceed to trial unless the parties attempt to present a different plea agreement. Often times it might be beneficial to have the case reassigned to a judge that will accept the plea agreement. Courts will reject a plea agreement if it is deemed to be too lenient. When a defendant decides in favor of a plea agreement, if charged with a felony, they give up their right to a preliminary hearing or other probable cause determination. In a plea agreement a defendant will not have any right to appeal from the judgment or sentence imposed as a result of a stipulated guilty plea. If you enter into a plea agreement you will not be able to change your mind at a later time unless there is some sort of manifest injustice. A situation involving manifest injustice is extremely rare. Finally, when entering a plea agreement you give up certain constitutional rights such as the right to a jury trial, to confront, cross-examine and compel the attendance of witnesses. A court may also find aggravating and mitigating factors whether alleged by the State or not based upon any information presented to it including hearsay. The Court is not bound by the Arizona Rules of Evidence in making such a determination.